Customers demand secure, always-on Wi-Fi... anything less is not an option. HPE ARUBA and INGRAM MICRO are here to support Partners with building better networking and to help midmarket businesses stay connected. 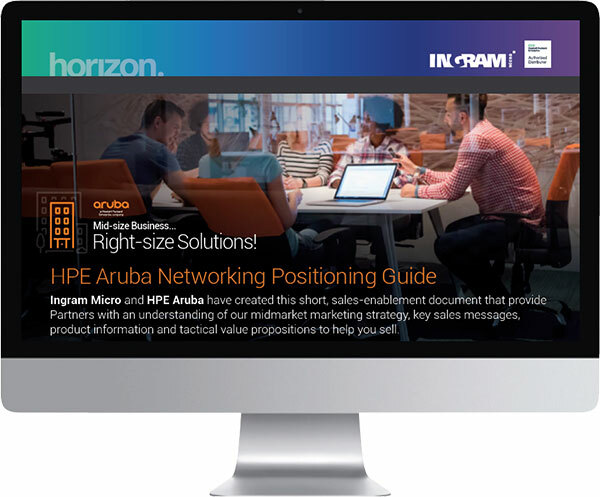 To enable you to better sell to your customers, we have created our new Aruba Midmarket campaign, guiding you through the integrated wired and wireless solution portfolio, cloud-app and IoT support, and robust networking and security solutions, to help find the best solution for your customers’ networking requirements. To help you on your journey, we’ve pulled together the latest Aruba offers and a set of enablement assets – all to help you sell with HPE Aruba! Best of all, you can create your ideal Aruba solution in less than two minutes using our Aruba Product Wizard! Fingers crossed we’ll get that top spot! Discover our new-look myHorizon resource area - it’s bigger, better and more effective than ever before! Not only can you now filter by asset type, popularity and date, but we’ve included even more marketing, sales and enablement assets – all to help you sell with Ingram Micro and HPE! THE COUNTDOWN HAS BEGUN TO THE LAUNCH OF OUR MY HORIZON CHALLENGE CAMPAIGN! Launching on 14th February 2019, register and get involved to be in with a chance of winning a place on our Club Horizon trip! Collect Gold medals throughout H2 19 (1st May - 31st October 2019) by smashing your Aruba and Hybrid IT targets. 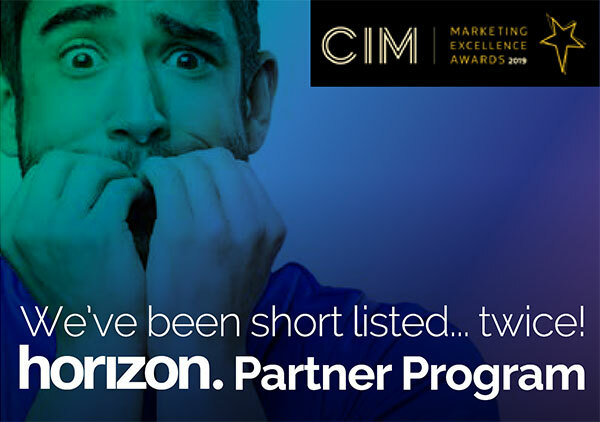 You will also be able to boost your chances of winning by collecting Silver and Bronze medals when you attend Ingram Micro HPE training sessions or by downloading assets from My Horizon. 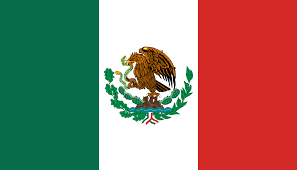 But first, correctly guess the trip destination to earn your first GOLD medal! Visit the My Horizon Challenge countdown page for clues of the exotic mystery destination! SO, YOU THINK YOU’RE DIGITAL MARKETING SAVVY? BUT HOW CAN YOU BE SURE? HPE and Ingram Micro are here to help and support you! HPE has designed a simple online survey to evaluate your digital marketing capabilities and processes and assess your current status. You will also be provided with recommendations and tools to help you accelerate your digital marketing transformation. 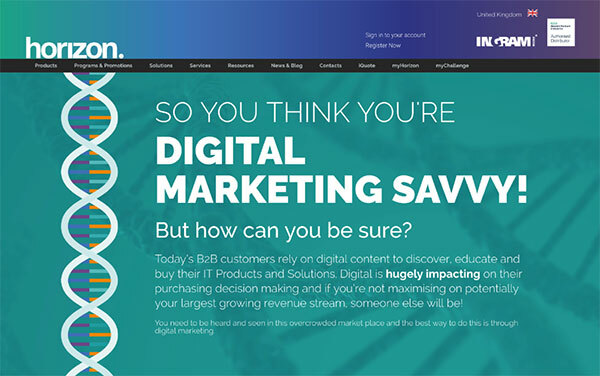 Take the survey and identify which areas you can develop to maximise your digital impact. ON YOUR MARKS, GET SET, LAUNCHING SOON! CALLING ALL PARTNERS! On the 14th February 2019, we will be launching the second phase of our My Horizon Challenge incentive, the Enablement & Qualifying Phase! 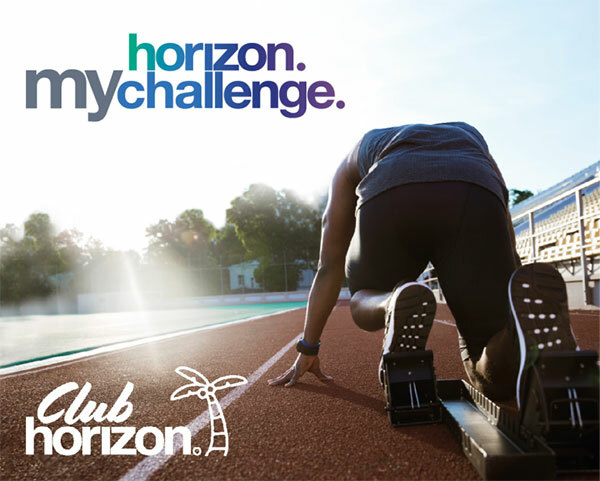 To qualify to take part in the incentive, for a chance to win a place on the Club Horizon trip, you must first register before the launch date, check your targets and then complete an enablement task. So, what are you waiting for? 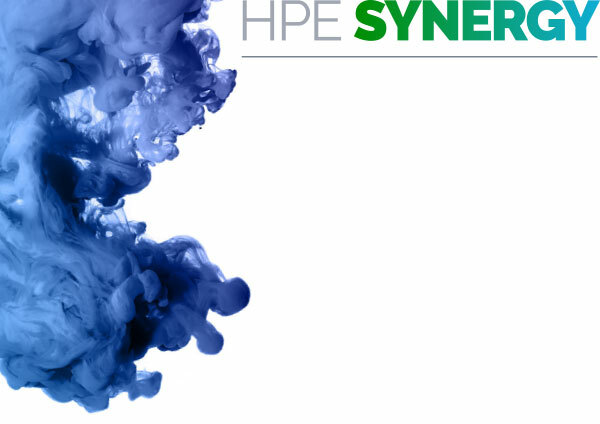 Keep an eye out for our new Synergy Enablement and Demand Gen Kit, providing Partners with a one-stop document to EDUCATE, POSITION & SELL & DRIVE DEMAND on HPE Synergy. The interactive guide includes Competitive Battlecards, Customer Presentations and End-user Marketing Assets for Partners to personalise to drive demand and grow their Synergy business with Ingram Micro. Soon to launch on Horizon is our SimpliVity Digital Campaign Kit that provides Partners with the tools to effectively promote SimpliVity and the benefits it provides to their customers. I am also very pleased for the great partnership we have with the HPE and Aruba EMEA team, fundamental for a common vision and objective. 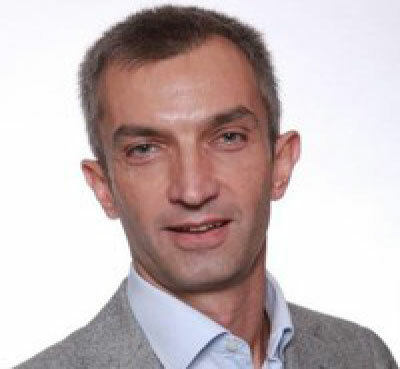 A great environment for developing the next years’ plan to drive profitability for our partners, particularly in the Silver, Business and Proximity (SBP) space and growth in the Emerging HPE Technologies including SimpliVity, Nimble Storage, Synergy and Aruba Networking. Our customers are living in a data-driven world and the volume of information they generate is growing exponentially. As a result, companies are increasingly investing in the hardware, software, and services needed to gain actionable insights from their data. However, by 2020 half of organizations will lack sufficient AI and data literacy skills needed to extract business value from their data, and they are already demanding easier-to-implement, faster-to-deploy, and more cost-effective solutions for AI/ML and big data analytics. Today, HPE announced that they are acquiring BlueData, a leading provider of AI/ML and big data analytics infrastructure software, which will significantly expand their footprint in the rapidly growing artificial intelligence and big data analytics space. 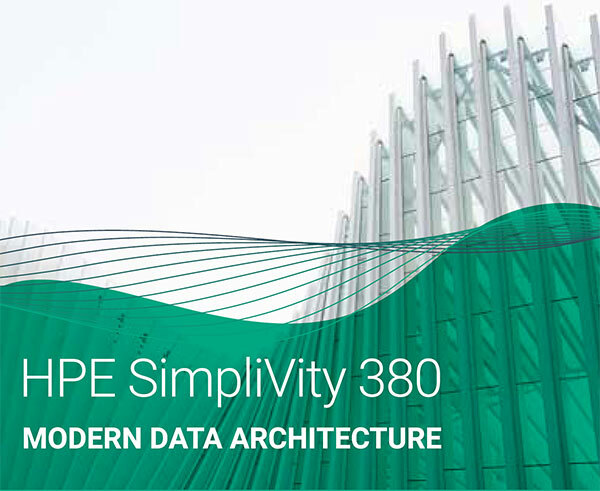 By seamlessly combining BlueData’s software platform with HPE’s existing software-defined infrastructure and services, we will be able to help customers accelerate their AI and big data transformations by providing an all-encompassing and easy-to-implement solution. With this turn-key solution, customers can potentially reduce their costs significantly and deliver faster time-to-insights from their data. 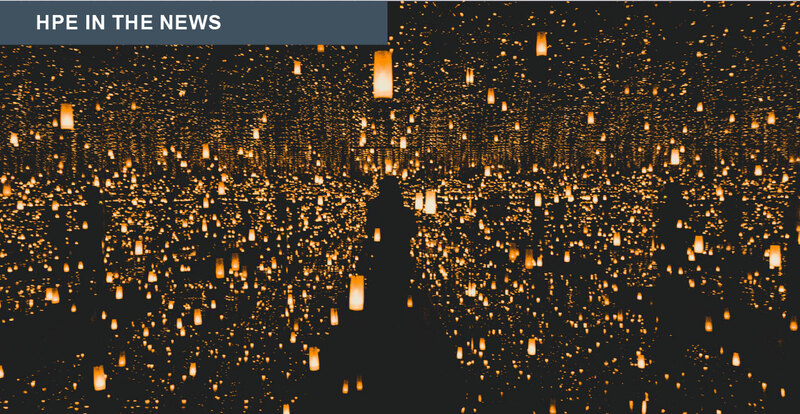 Together, HPE and BlueData can help our customers harness the power of their data with a solution that makes it easier, faster, and more cost-effective to deploy AI/ML and big data analytics.